¿Are you passionate about nature? ¿Do you have a spotting scope and a camera? Then you just need a little instrument that fits between these two and ¡voilá! You are doing digiscoping. 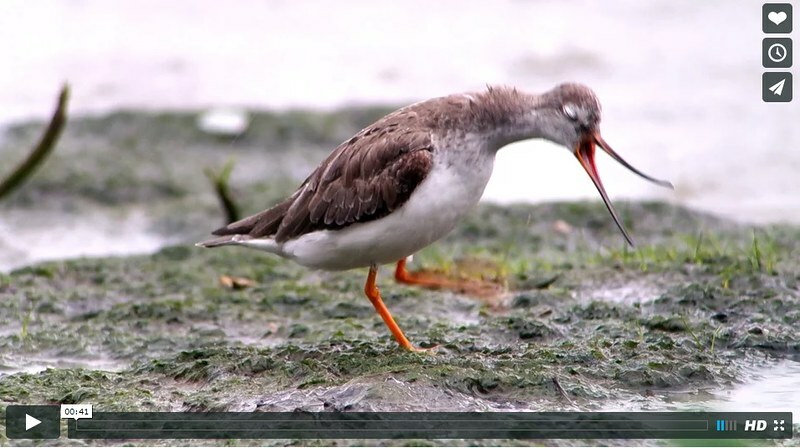 ​Whether you are in love with wild nature or you like to observe insects and birds in your garden, digiscoping techniques can make your desires come true: video, macro and normal photography and astronomical digiscoping. The word digiscoping comes from the union between two words: digital camera and spotting scope. It is a technique of digital photography: DSLR or compact camera is attached to a spotting scope, or even to some astronomical telescope. You can also use phones, binoculars or a video camera. With digiscoping you can take pictures through the scope, achieving an unimaginable photographic possibilities. With the right equipment and a little practice you can get impressive results. Digiscoping allows you to maximize the performance of the spotting scopes, so you can not only observe wildlife closely, but also photograph and record everything you see. The camera provides the option to shoot hundreds of photographs, having immediate results and with the possibility of digital editing. The observation of powerful images is combined with the benefit of photography. The union between these two optical devices create great photographic equipment, capable of bringing any animal or landscape to the photograper´s eyes. And that is because the magnification power of digiscoping is much greater than the cameras with long lenses. Since this union creates an explosion of zoom, it resolves technical constraints of zoom in cameras. Power magnification of scopes (from 20x to 75x normally) join the zoom of the digital camera, creating focal ranges between 1,000 to 4,000 mm! With digiscoping you can get superior results having to pay a lot less than buying photographic equipment with zoom lenses, which only serve to photograph and not for observation. While an SLR camera with a powerful zoom lens (800mm for example) could cost around 6,000$ or more, buying a whole digiscoping equipment (compact camera or "amateur" reflex, a sturdy tripod, a good spotting scope of 1,000 € and a digiscoping adapter) can be about 2,000$. The camera market is definitely in a rapid cycle of upgrades. On the contraty, new spotting scopes models do not have many optical differences. Hence, modernizing the equipment would only be necessary from time to time, investing in a new camera, and saving many costs. The weight of the adapter and the camera is relatively light (especially if the camera is compact). Thus, on field trips they can be take along just as an accessory more. Something really important in the observation of wild animals is respecting their habitat and conservation. Digiscoping offers the chance to observe and photograph living beings at a great distance, while keeping the necessary distance. The main disadvantage is the difficulty of getting completely sharp photos. Focussing with digiscoping is not as easy as you may think. In addition, as you are taking pictures with such a long focal tool, a small vibration can affect greatly the quality of the image, resulting some times in bad photos, although this can be corrected with a remote camera trigger. Focussing with digiscoping is always manual, making the process of obtaining the image longer than normally. If we also add the delay with some cameras when shooting, it may be that when we push the trigger, what we wanted to portray has already gone. All these issues can make that the potos obtained by digiscoping are generally of a lower quality than those taken conventionally. Obviously not every camera on the market is suitable for assembling a scope. Many cameras do not work because they produce images with vignettes. This means that the images have a black circle around the photo. This annoying effect is due to the interposition of elements affecting the field of view of the eyepiece. 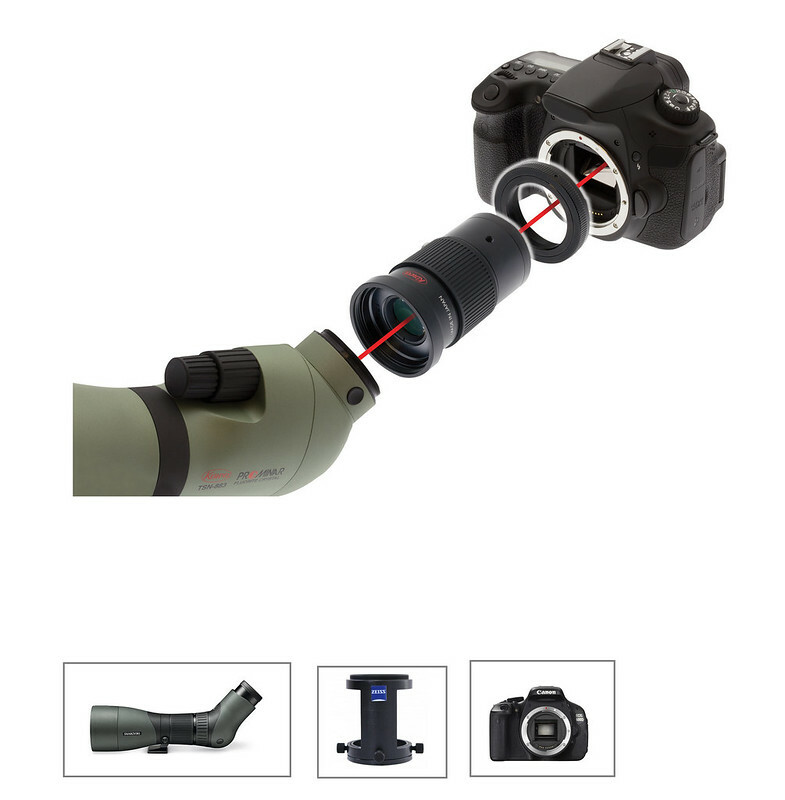 There are two ways in which the camera is attached to the spotting scope. The most common method consists in joining the compact or SLR camera (with their own camera lens) to the eyepiece of the scope. We only need an adapter that can be purchased easily, because most brands offer this accessory in their catalogue. But you can also use the spotting scope like it is the specific lens of the camera. You just need to adapt the body of the scope without the eyepiece and join it with to the SLR camera without its lens. It is a direct conection that needs a specific photo adapter. This method can only be used with SLR and you will have less zoom power than the other method. Catching all kinds of animals at long distances is one of the most common use of digiscoping. Zoom photography can also be used to date scientific research related to wildlife. Any accumulation of vegetation, even small, inevitably attracts insects and birds or small reptiles and mammals. No need to be in the middle of nowhere to see them. City animals are a perfect opportunity to get your equipment out and make beautiful shots. Amateur astronomers are using more and more this method to get high-quality photos in their night raids. Small things, big views. Not only animals of medium and large size can be photographed. Small insects and plants can show their best faces in photos made with digiscoping. Movement and action. Animal videos excite any nature lover. Thanks to the possibility of recording with cameras (many nowadays in Full HD) and with the low cost of SD memory cards, any scene can be recorded with a single click on the trigger. 2015-04 A View from a Blind from Tara Tanaka on Vimeo. 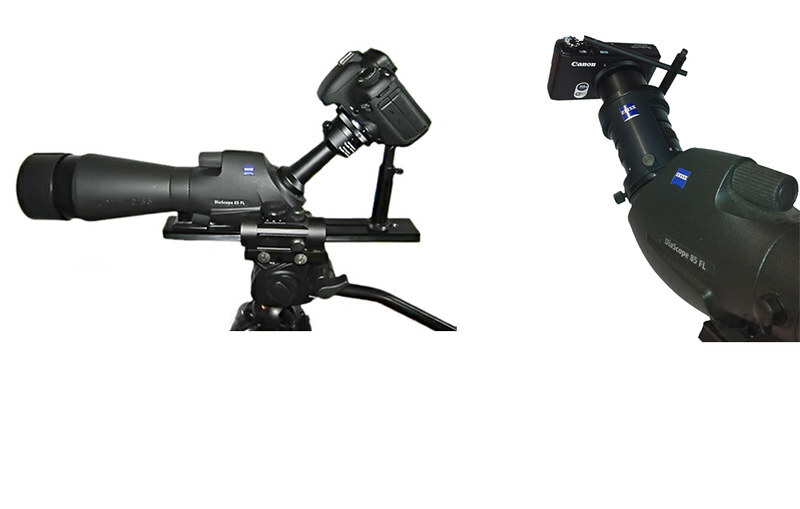 Nowadays there are many cameras that can be used for digiscoping and multiple models and ranges of adapters and spotting scopes. Brands like Nikon, Kowa, Zeiss, Swarovski or Leica have different adaptor devices for cameras. 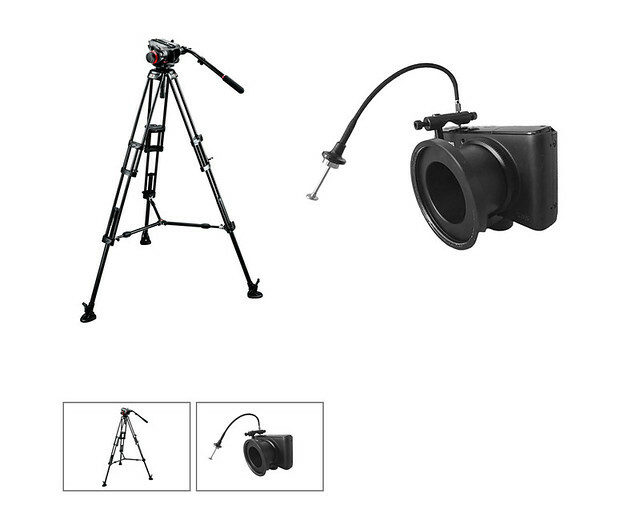 If you have some part of the equipment, just look at which camera, scope or adaptor fits with it. The currently lighter and affordable DSLRs are also gaining popularity for this photographic technique. Despite of having the disadvantage of loss of zoom, they provide a much higher quality than the compact ones. As for compact cameras, those that have an optical 4x zoom are the best. The mirrorless cameras, a mixture that combines features of the SLR (interchangeable lenses and photographic quality) with lightness and a compact design, are also an excellent choice for digiscoping. The most used scopes for digiscoping are often those that offer greater brightness, with big diameters. There are two different versions of spotting scopes: straight or angled body. For digiscoping, the most advisable is the angled one. With this one you can mount the tripod at a lower height, increasing stability and comfort while taking pictures and videos. The eyepieces of the scopes can be fixed (20x, 30x or 40x) or with zoom, like the 25-50x, 20-60x or 20-75x. The most used are the ones with zoom, due to its versatility, although the fixed ones normally offer more image quality. Joining a compact camera with 4x zoom and a spotting scope with a power magnification of 60X, we can reach a 240x magnification. This figure equals a focal length of 12.000 mm in conventional photography: almost unthinkable. Still, it is not advisable to go beyond 40x with the eyepiece. You could lose quality and brightness. With an eyepiece of 20x and a camera zoom of 4x, we have an equivalent to a focal length of 4000 mm! Other important accessories to complete good equipment for digiscoping are robust and stable tripods and electrical remote triggers that avoid unfocused and blurry images.